Twan Kuyper Photos, News, and Videos | Just Jared Jr.
Lele Pons & Twan Kuyper Team Up at Teen Choice Awards 2018! Lele Pons and BFF Twan Kuyper hit the red carpet together at the 2018 Teen Choice Awards! The social media stars joined forces for the event held at The Forum on Sunday (August 12) in Inglewood, Calif.
Lele rocked a fun look that was half strapless floral dress and half red leather jacket, along with matching red lipstick. Twan donned an all-denim ensemble. Inanna Sarkis & Twan Kuyper Star in Aeropostale's New Fall Jean Campaign! Inanna Sarkis gets a cute hug from Twan Kuyper in this new shot from their new Aeropostale Fall 2018 jean campaign. The two models, actors and social media stars are the faces for the new campaign which showcases the launch of three new fits, the Norma jean, Flex Effect, and the Cheeky Fit. The Fall 2018 collection is out in stores and online now on Aeropostale.com. Olivia Jade completely outed herself in her newest vlog. In the 18-year-old’s new video, she opens up about the time she snuck out of the house to visit a former boyfriend years ago. Olivia says that while her dad, designer Mossimo Giannulli, said no to going to visit her then boyfriend’s family in Santa Barbara, she actually did go! “My mom [Lori Loughlin] was working in Canada, and my dad was traveling somewhere – your mistake dad – and I decided I was going to go to Santa Barbara,” Olivia explains. Ultimately, her older brother and sister caught on, but Olivia didn’t come home until the weeknd was over. Check out her full video below! Olivia is also pictured below at Lee Rittiner’s TOTALEE hair care system and atelier launch event with Twan Kuyper in Beverly Hills on Thursday (June 28). Jenna Ortega hits the red carpet in a cool look at the Julien’s Auctions Upcoming Property event in Los Angeles on Thursday night (October 19). 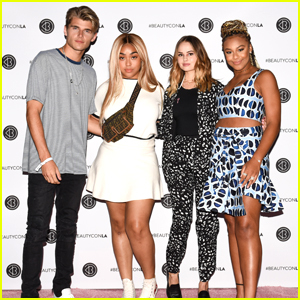 The Stuck in the Middle star joined Transformers star Isabela Moner, model sisters Delilah Belle and Amelia Hamlin, and hottie Twan Kuyper (you might recognize him from Sofia Carson‘s “Ins and Outs” video). The VIP Reception celebrated the upcoming Tommy Hilfiger Auction at the pop-up gallery. FYI: Isabela is carrying a Vince Camuto crossbody bag. 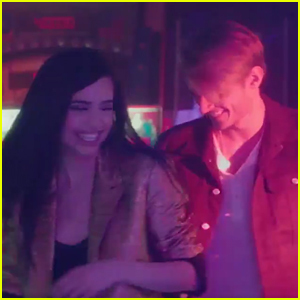 Sofia Carson is having way too much fun with Twan Kuyper in this teaser for her brand new video for “Ins and Outs”. The actress/singer shared the short sneak peek of the video, which will be out TONIGHT, on social media. Sofia released the single just last week, with her first performance of the song being on ABC’s Boy Band. 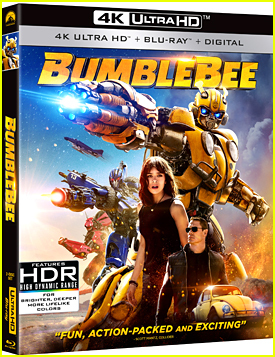 We can’t wait to watch it! Debby Ryan and Nia Sioux step out for 2017 BeautyconLA on Sunday (August 13) in Los Angeles. The two spoke on a panel alongside models Jordyn Woods and Twan. “Nobody is a stronger authority than you on who you are,” she shared on the panel. Monique Coleman and Ingrid Nilsen also spoke on panels, while Chloe x Halle were performers at the annual festival. FYI: Debby is wearing a Vince Camuto jacket, pants, and clutch. Nia is wearing an Alexis top and skirt with two Native Gem bracelets.